Jennifer competing in the Wildflower Triathalon (placing 4th). Image: Aaron Hersh Triathlete Magazine. What’s your bike style? Are you a bike commuter? A weekend warrior? A beach cruiser? A cyclist or triathlete? If you’re like me, then the answer can be a bit of “all of the above” - depending on the day. As women, we’re used to wearing many hats. And to me, whether that’s a swim cap or a bike helmet, an advocate or an athlete, it’s all simply a different extension of me and what I do. Just because I put on a (likely brightly colored) cycling kit and head out into the Santa Monica Mountains during my week’s training regimen doesn’t mean that I also don’t enjoy rolling down to a coffee shop in cut off jean shorts or cruising along the bike path with my friends on occasion. No matter your style or purpose on a bike, we all share one important thing in common: riding around on two wheels (unless, of course, you’re a skilled unicyclist, in which case, my hat’s off to you...). Mix it up. Variation is important, both to keep things interesting and to keep you on the path toward reaching your fitness goals. The body is very efficient and becomes adept at doing the same thing - to the extent that you'll burn less calories and see less fitness results if you do the exact same thing every time you go out for a ride. Try a different route, add hills, go longer, go shorter and incorporate speed. These are just a few variations that can benefit all of us, whether exploring new sights or getting in a quality workout. Dress accordingly. Riding in style is always more fun - especially when that means having the right equipment for the weather, conditions and type of riding you're doing. Living in SoCal, we'll soon be encountering "June Gloom;” nothing ruins a perfectly great bike ride like not having warm enough clothing during the late afternoon onslaught of fog and cooler temperatures. I like keeping arm warmers or a thin cycling jacket tucked in my back pocket at all times just in case. If riding long distances on a road bike, it's worth the extra money to buy a quality chamois. Also, don’t forget protective eyewear, which keeps your eyes safe from flying debris in addition to harmful UV rays. Jennifer out riding with her sister Alison. Be respectful. If you’re out on the bike path or out on the roads, obey traffic laws, be aware and signal before turning, stopping or making sudden moves. If you’re commuting with purpose or simply enjoying the view, it’s important to be aware of your surroundings and give those around you a ‘heads up’ if you’re going to change course. Motorists, other cyclists and pedestrians alike will appreciate your efforts. Endurance Sunscreen - This is by far my favorite sunblock. SPF 45, moisturizing, has zinc for maximum protection, and smells great. They also make a chamois creme and muscle recovery lotion that works wonders. JR Watkins Hands and Body Lotion - With spending as much time as I do in the pool and outside in general, I like doing everything I can to treat my skin. Rudy Project Sunglasses - Wearing eyewear while riding is actually quite important to protect your eyes from flying objects thrown up by other bikes, cars or in the wind (in addition to protecting against harmful UV rays)... For casual wear, I'm loving the Rudy Project Skymajor glasses at the moment. I'm still looking for that perfect kit! Stay tuned as I think I've almost found it! 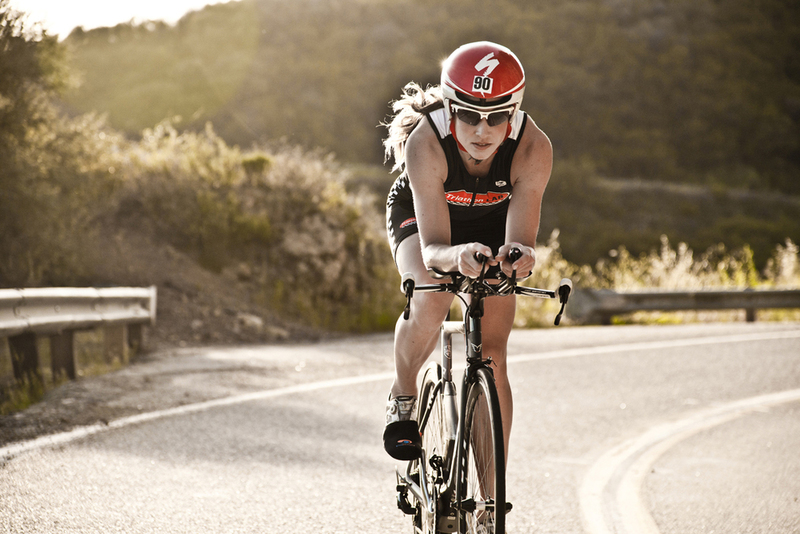 Triathalon Lab of Santa Monica is where I keep my road bike in shape and find great products. Elegant Nails - is where I get my nails done. It's off the beaten path on Wilshire in Santa Monica. G-Star Raw are my favorite jeans of the moment, long enough for my long legs, happily I inherited a pair from my sister's closet! Specialized S-Works Shiv with di2 shifting is my current roadbike. I'm currently in the market for just the right casual bike (yes there's a difference) and liking what I'm seeing at the Linus Bike showroom on Abbot Kinney! The bike path around the Santa Monica Pier is a current favorite casual place to ride in Santa Monica with friends. Santa Monica has recently repainted the path, which is awesome. Montana Ave also has a nice bike lane (and great stores and coffee shops (Primo Passo Coffee Co. on Montana is amazing and quite bike friendly). Add some friends. Having company for a workout or a cruise along the bike path is always fun. Sometimes, when I’m riding hard, I like having teammates around to keep me motivated, even if we head off at some point to do our own workouts. Other times, I like including friends on my easy day rides for the company and good talk time. It doesn’t always have to be a race or a competition. But easy, light days are meant to be just that - easy. Thus, no need to race or worry about pacing. That can be saved for tomorrow (and race day), when it counts. Don’t forget to smile. Riding a bike is fun. I know you’re in a hurry to get to the office or tired of fighting a head wind, but the ability to be out pedaling around is a simple pleasure we should never take for granted. My name is Jennifer Tetrick. I am a professional triathlete, former communications director for a Member of Congress and a newbie bike advocate. Riding a bike is a part of my life just as much as sitting in a chair or driving a car. 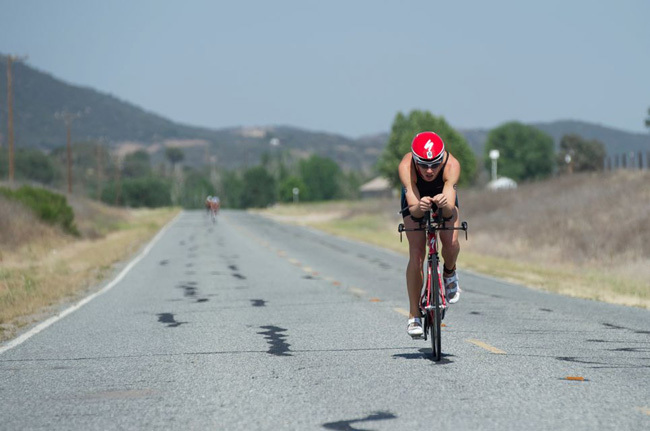 As a triathlete, going to the “office” entails riding my bike, whether it be on the local streets of Southern California, in the Santa Monica Mountains or in different places around the country. By bike, I have seen, felt and learned things and made new friends that I never would have otherwise. It wasn’t until walking into CycleLife, a shop nestled along the Potomac River in Georgetown, that I began to truly embrace bicycles. The shop manager got me out on the group rides and linked me into their racing team, and through a growing network of people that became some of my closest friends, I learned a lot about the basics of riding a bike. It was in that “safe” context that I was able challenge myself, ride longer, harder and further than I ever would have without such a motivating and accepting group of people. And some lessons I have just learned the hard way over the last few years - by experience, trial and error. Sometimes you just have to try things at least once. (Noted: Underwear does not work under cycling shorts). Growing up on a ranch in California, I rode horses far more than riding bikes as a kid. However, being outside, working hard and pushing oneself beyond what is comfortable has always been a core aspect of the Tetrick lifestyle, the competitive spirit permeating everything from games of Candy Land to sports. Thus, it wasn’t too far a stretch to wind up playing competitive volleyball in college, in addition to running cross country and track and field and helping my team win the National Championships. One of my favorite quotes that I had seen in a Nike ad when I was a teenager was, “You never work out and regret it. You never go for a run and wish you had just stayed home. You never climb a mountain, get to the top and say, ‘I should have been content to stay where I was’.” I knew that I wanted to pursue being an athlete and wouldn’t be content standing on the sidelines. So, I made the leap from the professional life of dresses, heels and styled hair to the professional life of spandex, running shoes and ponytails, and I moved back to my home state of California, closer to my family and to seek coaching guidance from swim guru Gerry Rodrigues of Tower26 and my head coach, Purplepatch Fitness’ Matt Dixon. If you had asked me five years ago if this would be the life I would be living, I wouldn’t probably have believed you, but life has a way of throwing curveballs that later provide unheard of - and sometimes better - opportunities.